Game 40. SSS. Stanton, Severino, Sizzling. Yanks win 6-2, hit quarter-pole at 28-12. So we hit the quarter pole and the Yanks are at 28-12 (unfortunately, so is Boston). You can do the math. We don’t expect both teams to end up at 112-50, but winning the division means so much more. You don’t want to go, say, 103-59 but NOT win the division and find yourself playing in that sudden-death, one-game only, wild card game. Luis Severino didn’t have his great stuff today, labored a bit, but still pitched six innings of one-run ball. Hopefully he keeps this up all year and gets the CYA at the end of the year. He got the offensive support from Giancarlo Stanton, who went 4 for 4 with 3 RBI. In the first inning, Gardner singled, Judge doubled and Didi walked. Bases loaded, no one out for Stanton, who singled in two. After a DP, Hicks singled in a run to make it 3-0 and with Seve on the mound, you knew it would be enough. The A’s got a run in the top of the fifth but Stanton got it right back in the bottom of the fifth with his tenth HR of the season. In the seventh, Judge walked, and with one out, Stanton doubled. After a walk to Sanchez, Hicks’ force out made it 5-1 Yanks. In the eighth, Andujar singled and with two out advanced on a WP. Judge singled him in to make it 6-1. The A’s got a HR off of Shreve in the ninth, but the final score was 6-2 Yankees. Judge 2 hits, walk, rbi. Stanton 4 for 4, HR, 3 RBI. Severino (W, 6-1, 2.14) 6 IP, 1 R, 5 H, 2 W, 7 K.
Betances 1 IP, 0 R, 0 H, 1 W, 2 K. 5.00. Developed a blister. Robbie Cano for Seattle will be out 2 months. HBP, broken finger. Chase Headley DFA’d by SD after starting the year .115. Bryan Mitchell has stunk for them, too. The Yanks are off Monday. Two-game series in Washington Tues. and Wed. Tough series. Tanaka vs. Gonzalez, and CC vs. Scherzer. Hoping for a split. The Yanks then travel to KC and Texas, both teams are bad, hoping for 4 or 5 out of 6 there. Yankees News. Winter Meetings ends tomorrow. Shohei Ohtani apparently has an elbow issue, much like the Yankees’ Tanaka has. So the Angels will have to be careful with him. Michael Pineda signed a 2-yr. $10MM deal with the Twins. Pineda needed Tommy John surgery, went down in mid-year for the Yanks and won’t be ready for the Twins until 2019. With the Yanks he was mediocre, 31-31, 4.16, ERA+ 101. Average. He should have been much more. Gary Sanchez has lost weight. This is to increase flexibility behind the plate to avoid all those wild pitches and passed balls. The price of pitching is higher than expected. MLBTR.com estimated where pitchers would go and for how much. They are wrong in their predictions of where pitchers would go, but are WAY under in their estimations of how much $$$ those pitchers would get. As for Todd Frazier returning to the Yankees…..he probably wants a multi-year deal and the Yanks won’t give him that…..Number 1, Manny Machado is a free agent after 2018, and number 2, why give him a multi-year deal when you have a minor league prospect, Miguel Andujar, almost ready? The Yanks are working on another deal. They have discussed Michael Fulmer of the Tigers (who beat out Sanchez for ROY in 2016), Gerrit Cole of the Pirates, and are talking to the Diamondbacks about both LHP Patrick Corbin and also infielder Brandon Drury. As my friend Josh (the Yankee Truth) states, if the Yanks make the deal with AZ, can they now promote Judge and Drury? The Yanks have a lot of top-notch prospects that are blocked by players like Judge and Stanton, etc. If they are top prospects, but blocked for what seems like years to come, best to spin them off to fulfill needs. I smell something big coming up. We’ll see what it is. The Rule 5 draft ends the Winter meetings tomorrow. Expect the Yanks to lose a couple of prospects. Bob Costas has been elected to the HOF for his broadcasting. Chase Headley may not be long for the Padres after the Yanks just dealt him there. He could be turned right around to the Angels. $alary dump. Yanks trade Headley and Mitchell to SD. The Yankees created more salary cap space by trading Chase Headley and Bryan Mitchell to SD for OF Jabari Blash. Blash, 28, a righty bat, has played in 99 MLB games, going .200-8-21, OPS+ 79. Don’t expect him in the bigs as he is behind Judge, Stanton, Hicks, Gardner and Ellsbury, not to mention Clint Frazier and Billy McKinney. This was a move to free up $$. Headley hit .273-12-61 with the Yanks in 2017, OPS + 100 (league average). In three full and another part of a fourth year with the Yanks, his OPS+ was 96, a tick below league average. In the last four years, he’s averaged .257-12-56, OPS+ 95, a tick below league average. Now that the Yanks have dealt Castro and Headley, there are holes at 2B and 3B. Do the Yankees now bring back Todd Frazier? Or do they take the $$ saved in dealing Castro and Headley and use it all on pitching? They can go strictly “Minimum Wage” and use Gleyber Torres at 2B and Miguel Andujar at 3B. Two rookies, if they don’t want to go after Todd Frazier. Rumors are they are kicking the tires on Manny Machado. I don’t see it happening. Machado is a free agent after 2018 and could cost a boatload of prospects. It’s also rumored he wants to leave 3B and go back to SS. That isn’t happening with the Yankees, not with Didi at SS. But something is brewing. Whether it be 3B, 2B or a starting pitcher. More moves are coming. The Yanks are said to be interested in the Tigers’ Michael Fulmer (2016 ROY), Partick Corbin of Arizona and Danny Duffy of KC, in addition to the Pirates’ Gerrit Cole. CC, of course could be coming back, too. As for Bryan Mitchell, I had a gut feeling he would be dealt this offseason and I feel the same way about Luis Cessa. There are just younger players with greater upside who are passing these guys by. In 48 games as a Yankee, Mitchell was 2-6, 4.94. Yankees thoughts after getting Stanton. Q: If you could pick the brain of one manager in the history of baseball, who would it be? 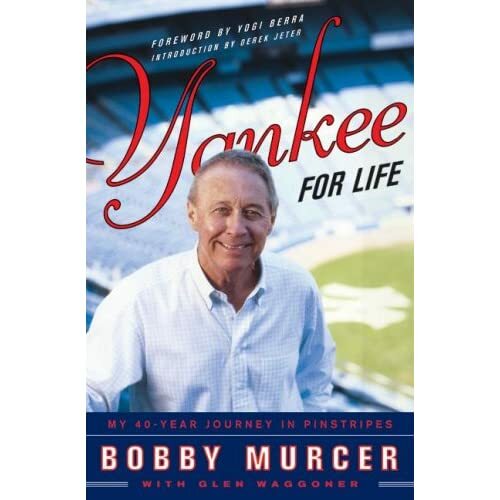 A: I think I’d want to go back and just sit down with Billy Martin … see what’s going on there. I’ve heard, obviously a number of (chuckle) incredible stories over the years, but he’d be a guy that I think it’d be cool to sit down with and just hear him talk about the game. Q: What do you think you might ask him? A: (Chuckle) I don’t know if I’d ask him much. I’d rather just be a fly on the wall and sit there and say, “Just start telling these stories.” I don’t know, “Just tell me about back in the day,” not only as a player but then obviously all of his managing stints and just the colorful character that he was. I would just want to sit there and listen to some of the stories he I’m sure has for days. Also, an interesting article in the Post about how Jeter may NOT want to help the Yankees, despite what you may see on Twitter or YouTube about any possible “collusion” because of the Stanton deal. Jeter does hold grudges, and still may hold one because of his last contract negotiation. He really (as the article points out) hasn’t shown up at the Stadium that much since his retirement, and now, as a part-owner of the Marlins, could be expected to show up even less—and this may have occurred even without his new ownership or new fatherhood. Also, don’t you think Jeter would be aware of the backlash that would (and is) occurring anytime he makes a deal with the Yankees? All the talk will be about Judge and Stanton, and deservedly so, since you have the two HR leaders from last year on the same team, with 52 and 59 HR respectively. They are the ones who finished as the AL runner up for MVP and the NL MVP. Gary Sanchez also was in that HR derby at last year’s All-Star game, and actually was the one who knocked out Stanton. Sanchez, despite missing a few weeks last year, hit 33 HR. And how can you forget what he did at the end of the 2016 season? Didi Gregorius set a Yankees’ SS record with 25 HR last year, and how could you forget the two HR he hit in Game 5 of the ALDS off of Corey Kluber, the CYA winner? Lastly, Greg Bird. Yes, Bird had a poor year because of the ankle injury that cost him most of the season and that required surgery. But remember the great spring training he had? Not only that, but when he came back and was healthy, he hit .253-8-25 in his last 29 games. Let’s do some math. 29 x 5 = 145. Basically a full season of 162 with some days off for rest. Now multiply x 5. .253-40-125. Forget the batting average. 40 and 125. Add this to Judge, Stanton, Sanchez and Didi. And don’t forget that Gardner even hit 20+ HR last season. I think a lot of people are going to overlook Bird, and barring injury, I think he will shock some people next year. Ok, some people may wonder why keep Judge at 2. Here’s why: 127 walks, which led the AL. An OBP of .422. You want guys with high OBPs in front of Stanton. Some people have Didi Gregorius #2 in the lineup. Not me. Didi only walked 25 times last year. OBP .318, over 100 points lower than Judge. Give Stanton more opportunities to drive in runs. That is why I have Didi in the 6 slot. Get a high OBP guy in front of Stanton. Bird #3. You want to break up the righty bats. And with Stanton hitting behind him, Bird, whose lefty swing is tailor made for Yankee Stadium, gets protection like Maris got when Mantle was hitting behind him. Or Ruth got with Gehrig. Judge on base, you don’t want to face Stanton, Bird gets more pitches to hit. Torres could be in the minors until June. So Torreyes is probably a stop gap 2B until Torres is ready. Keeping Torres down for 2 1/2 weeks delays his free agency a year and keeping him there until early June delays his arbitration another year. Besides, he hasn’t played too much at 2B so he can get experience there and when he’s ready in early June you can bring him up. Torreyes, despite hitting .292, doesn’t have much power, and only walked 11x in 2017. Hence the 9 spot. Clint Frazier or Billy McKinney. Otherwise both are blocked and could be trade bait for …. Also blocked, for now, are Thairo Estrada (by Torres, Didi and Headley) and Miguel Andujar (by Headley and possibly Torres). Not trading any of those top prospects in the Stanton deal (Guzman and Devers, both of whom haven’t even played at Low A Charleston, went in the deal) leaves you open to trading one of those top prospects for a top of the line starter. You also have pitchers who are top prospects who are, as of now, blocked. Chance Adams, Justus Sheffield, Albert Abreu, Domingo Acevedo and Domingo German to name five. So the Yanks, should they need to make a deal, still have top prospects to trade. Also, they could try to find a taker for Ellsbury or Headley, but may have to eat $$$$ in order to do so. Only by dumping Headley do I feel that they can retain Todd Frazier. The Yanks still want under the cap, and that became more difficult with getting Stanton. The Modern Era HOF voting will be announced tonight. We’ll see if anyone gets in. From mlb.com: The 10 Modern Baseball Era finalists include nine former players and one former executive: Steve Garvey, Tommy John, Don Mattingly, Marvin Miller, Jack Morris, Dale Murphy, Dave Parker, Ted Simmons, Luis Tiant and Alan Trammell. (One -time Yankees in bold). Free agency starts, and the Yankees didn’t offer qualifying offers ($17.4MM) to any of its free agents, Matt Holliday, Michael Pineda and CC Sabathia. Since Todd Frazier and Jaime Garcia were traded mid-season, they didn’t qualify for the offers. Personally, outside of maybe re-signing CC for only a 1-yr. deal (and if they get the Japanese “Babe Ruth”, Shohei Otani, a 23 yr. old who not only pitches but hits well, CC wouldn’t be necessary), I would go after Alex Avila and see if he would back up Gary Sanchez. Avila is a lefty bat with a little pop. If he could catch 80 games, and hit .240 with 10 HR, I’d be happy. Austin Romine is a nice defensive catcher, but Romine can’t hit a lick (.218-2-21 in 80 games this year, OPS+ only 49). As for Todd Frazier, it’s hard to see the Yanks bringing him back on a multi-year deal when they have not only Headley signed for next year, but also have prospects Gleyber Torres and Miguel Andujar so close to being major league ready. The Yanks did add Jake Cave and Nick Rumbelow to the 40-man roster. Cave, a soon to be 25 year old OF, is a lefty bat who hit .305-20-56 in 103 games between AA/AAA this year. Rumbelow, 26. a righty reliever, was briefly with the Yanks in 2015, going 1-1, 4.02. He missed all of 2016 recovering from TJ surgery, and was 5-1, 1.12 with six saves between AA and AAA this year. Finalists for the top baseball awards were announced. Finalist means that person finished in the top three. Winners will be announced next week. NL Mgr. of the Year: Roberts, Bud Black, Torey Luvullo. NL CYA: Kershaw, Scherzer, Strasburg. Two teammates may cancel each other out. AL CYA: Kluber, Sale and Severino. I expect Seve to finish 3rd. Ten candidates have been selected for Modern Era Hall of Fame consideration. 75% of the vote of a panel is necessary to enshrine these people not selected by the writers. Formerly known as the Veterans’ Committee, this year they concentrate on overlooked candidates who mostly had their impact from 1970-1987. They are Marvin Miller (advocate for the players and the players union), Don Mattingly, Tommy John, Steve Garvey, Jack Morris, Alan Trammell, Dale Murphy, Dave Parker, Ted Simmons, and Luis Tiant. You can make a case for all of them. (Bold are players who, even briefly, played for the Yankees). Brian Cashman came out today and said the reason Joe Girardi wasn’t brought back as manager was because of a disconnect and lack of communication with the players. Girardi stated that he would like to manage again somewhere. SP Albert Abreu (Loss, 0-2, 3.18) 3 2/3 IP, 3 R, 2 H, 5 W, 3 K. Gave up 1 HR. ALCS Game 5. Yanks solve Keuchel, are one win away from 41st AL pennant. Dallas Keuchel owned the Yankees. The Yanks solved him, and won Game 5 of the ALCS, 5-0. With the win, the Yanks have won every postseason game at home so far, and as a result, have gone up 3 games to 2 in the ALCS. If they can win either Game 6 or 7 in Houston, they will be headed to the World Series for the 41st time. Game 6 will be Friday night in Houston, Severino vs. Verlander, and right now, Houston is not hitting…. 9 runs in 5 games vs. the Yankees, with 2 unearned. If Masahiro Tanaka is wanting to opt out of his contract, he is making a statement with his postseason performances. After a very up-and-down regular season, he has been incredible this postseason. A 1-0 win, 2-1 loss, and a 5-0 win. In the second inning, Houston got a leadoff double, moved the runner to third with one out, but with the Yankees’ infield in (because they wouldn’t know how they could or would get to Keuchel, their nemesis), ex-Yankee Carlos Beltran grounded out and Tanaka got out of it, yielding no runs. In the bottom of the second, with two out, Castro doubled and Bird singled. 1-0 Yankees. The big thing and difference in the Yankees this postseason as opposed to the regular season is that we are seeing what Greg Bird can do when he is healthy, and it is coming at the right time. A big difference between him now, and him at the beginning of the year when he wasn’t himself, and Chris Carter. In the third, Headley singled, Gardner forced him, and Judge doubled Gardner home. 2-0. To the fifth, and Houston had men on 1st and 2nd, one out, and Tanaka got out of it. In the bottom of the fifth, with one out, Headley (who had 3 hits) singled, and after Gardner grounded out, Judge walked. Sanchez singled to make it 3-0, and Didi singled to make it 4-0. In the bottom of the seventh, Sanchez homered to make it 5-0, the final score. The Yankees’ bullpen is all set up. Tanaka for 7, Kahnle for 2 today. Off day tomorrow. A rested bullpen for Games 6 and possibly 7 in Houston. Sanchez 2 hits, HR, 2 RBI. Tanaka (WIN) 7 IP, 0 R, 3 H, 1 W, 8 K.
Kahnle 2 IP, 0 R, 1 H, 0 W, 1 K.
In the NLCS, the Cubs avoided a sweep by the Dodgers by winning Game 4, 3-2. In the Arizona Fall League, Scottsdale won 9-5. Yankees’ prospect 2B Kyle Holder went 2 for 4. Prospect Cody Carroll pitched a scoreless inning of relief, giving up a hit and a walk but striking out the side. ALCS Game 4. Yanks comeback from down 4-0 evens series, win 6-4. Down 4-0 in the seventh. Only got one hit in the game. Facing 3-1 down in the series with Keuchel, their nemesis, going tomorrow. And the Yankees came back to even the ALCS with a 6-4 win at two games apiece. In the bottom of the fourth, a strange play. With Judge on first and one out, he was running on the pitch when Sanchez lined out. He was past second base and made it back to first. He was originally out but the challenge ruled him safe. However Judge didn’t touch second on the way back, knew it, and tried to get to second while the Astros were going to appeal. He was thrown out. It went as a caught stealing, but had the Astros appealed, they would have won the appeal because if you round the bag, you have to touch it again on the way back. It was a scoreless game, with only one hit for either side, when the Astros scored three in the top of the sixth. A walk, a catcher’s interference call on Romine, catching today with Sanchez DHing, and then after Sonny Gray was removed for David Robertson, a walk. Bases loaded, no one out. A strikeout, but then a bases-clearing double by Yuri Gurriel of Houston made it 3-0. Gurriel was thown out trying to take an extra base, and Robertson then got a ground out to get out of the inning. In the seventh, Chad Green replaced Robertson. After a strikeout, he gave up a double. Ex-Yankee Brian McCann hit one to Castro, and he flubbed it for his second error of the game and the Yanks’ third total (the catcher’s interference on Romine being the other one). 4-0 Houston. Green got a dp to get out of the inning. So…. bottom of the seventh, down 4-0. Staring at a 3 games to 1 deficit with Keuchel going tomorrow, and the Yanks came back. Judge got it started with a HR, and after that, Didi tripled and scored on a SF by Sanchez. To the eighth, and Todd Frazier leads it off with a single. Then, some luck. PH Headley (for Romine, Sanchez went in to catch, DH lost) singled Frazier to third, but Headley fell trying for a double. The Astros had him dead to rights. But in trying to get Headley out at first, Headley took off for second and beat the throw. It was challenged by Houston, but upheld. Second and third, no one out, down 4-2. Gardner grounded out to second, scoring one run and moving Headley to third. Ellsbury pinch-ran. Judge doubled in the tying run, and Didi was walked. Sanchez then hit a GW 2-run double. Bird walked to load the bases but a force at the plate and ground out kept it at 6-4. Chapman came in for the ninth and closed the game out. 6-4 Yankees. The Yanks won despite making 3 errors. They held the Astros to just 3 hits. Judge 2 hits, HR, double, 2 RBI. Scored 2 runs. Didi 2 hits, scored twice. Big PH single by Headley. Gray 5 IP, 2 R, 1 ER, 1 H, 2 W, 4 K.
Robertson 1 IP, 1 R, 1 H, 1 W, 1 K.
Green (WIN) 2 IP, 1 R, 0 ER, 1 H, 0 W, 2 K.
Chapman (SAVE) 1 IP, 0 R, 0 H, 0 W, 2 K.
In the NLDS, the Dodgers got a walk-off 3-run HR from Justin Turner on Sunday to go up 2 games to none. In Game 3 Tuesday night, they won 6-1 to go up 3 games to none, and could sweep the defending champion Cubs tonight. In the Arizona Fall League, Scottsdale won 10-1. SS Thairo Estrada 1 for 5, 2 RBI, scored one run. LF Billy McKinney 1 for 5, double, RBI, scored 2 runs. Starting pitcher Albert Abreu 5 IP, 0 R, 2 H, 2 W, 8 K.